Raleigh limo and party bus fleet comprises the latest vehicles with luxurious and stylish interior and exterior, to make your entry look as grand as possible. At Raleigh Limousines and Party Bus Rentals we pride ourselves for having a large selection of vehicles that can suit to the specific needs of our customers and their special occasions. All of our limousines and party buses are stylish and well maintained to make your driving experience luxurious. Our vehicles can accommodate 1-20 passengers and are perfect for large and small occasions such as weddings, sporting events, funerals and graduation parties. Below is a list of a few limousines, SUV’s and party buses styles we have. 1. Stretch Chrysler 300: It can accommodate up to 10 passengers, has bar facilities, touch screen controls, double shaded leather seats and Starlight ceiling. 2. Lincoln Town Car Limousines: Has additional legroom capacity, power points, Leather interior and 6 longer rear doors. This vehicle is ideal for 10 passengers. 4. Cadillac Escalades: Can carry up to 16 passengers. Has an iconic design and this four wheel drive offers a smooth driving experience. 5. Hummer H2’s: For 20 passengers. It has many options including DVD and CD players with Surround sound. It also has MP3 player and iPod connectivity, Skin Leather interior, laser lights, Hands Free-intercom and much more. 6. Limo Party Buses: Can carry up to 20 passengers. It has many features such as Laser lights, MP3 player and iPod connectivity options, laser lights, Screen Video Monitors, DVD and CD players and much more. Despite the above mentioned styles we also have Mercedes, Chevrolet Suburban and other car types. Therefore, if you want a different type of car then please feel free to call us and we would be happy to assist you with your needs. Our limousines have some of the most luxurious and top of the line features such as LED lighting, ultimate sound and video systems, dance floors and smoke machines. All of these features will make your journey and driving experience memorable. In order to keep our clients satisfied our luxury party buses and limousines interior is custom designed with many upgrades. Thus we give you an opportunity to safely travel to your location while having fun on your way. Raleigh limousine and Party Bus Rentals also provides complementary bottled water and ice to make your ride more enjoyable. You are welcome to bring your own refreshments. We do not allow food inside the limousines. 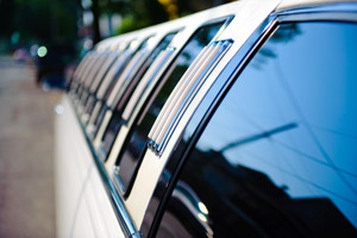 All limousine and party bus rental services are provided and supplied by A Formal Affair Limousine Service.